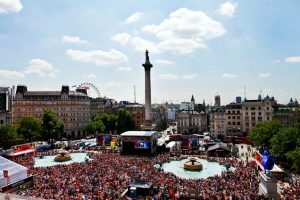 One of our popular locations for live events is London’s iconic Trafalgar Square where we have provided Big Screen coverage for shows such as West End Live, Celebrations in the Square, and World Cup/Olympic specials. 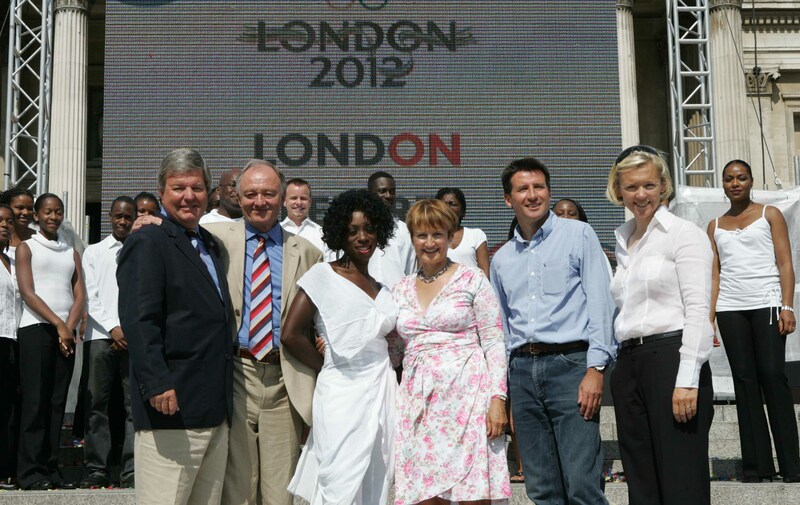 However, one of our favourite moments was when AdVision TV’s OB1 was the coordination hub for the London 2012 Host City decision in Trafalgar Square in 2005. 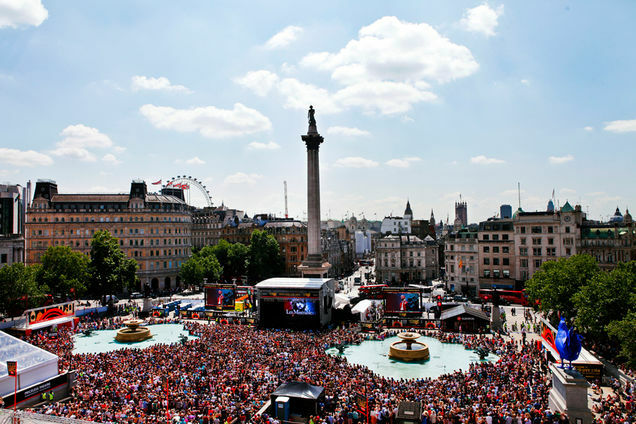 The scanner provided video feeds to dozens of SNG units parked locally and several large screens provided by the GLA for the 10,000 spectators in the Square to see the action. We received satellite feeds of the live announcement from Singapore and managed a two-way link from the G8 conference at Gleneagles so the Prime Minister could be interviewed live, as well as playing out various official VT promos. 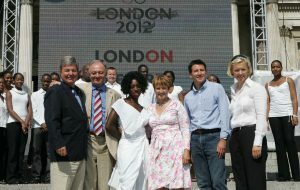 Stage Electrics provided the PA system, lighting and stage for the event.